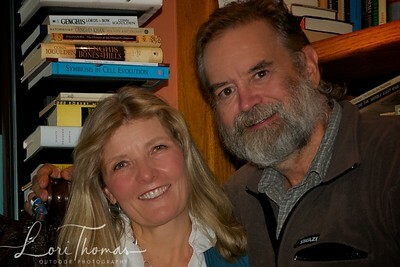 Lori Thomas is a well-published outdoor photographer, supplying hundreds of photos in support of Don's writing. Her photographs appear in numerous books and magazines including Retriever Journal, Gray's Sporting Journal, and Alaska Magazine. She has turned following Don around the world with a fly rod, bow, shotgun, and camera into a full time job after thirty-something years of practicing as an RN in rural Montana . She now divides her time between rural Montana and southern Arizona with Don and five dogs including two yellow labs, two German Wire Hair retrievers, and a Jack Russell Terrier.